Pope John Paul II , exhibiting his great love for Mary and her Most Holy Rosary declared the year from October 2002 to October 2003 to be the "Year of the Rosary". He also issued on 16th. October 2002, a major encyclical on the Rosary "Rosarium Virginis Mariae", and introduced a new set of Mysteries - The Luminous Mysteries - into the prayer of the Rosary. We all join together in thanking St. Pope John Paul II most sincerely for his promotion of devotion to Our Lady, and through her to Jesus, which has sprung most naturally from his great love. 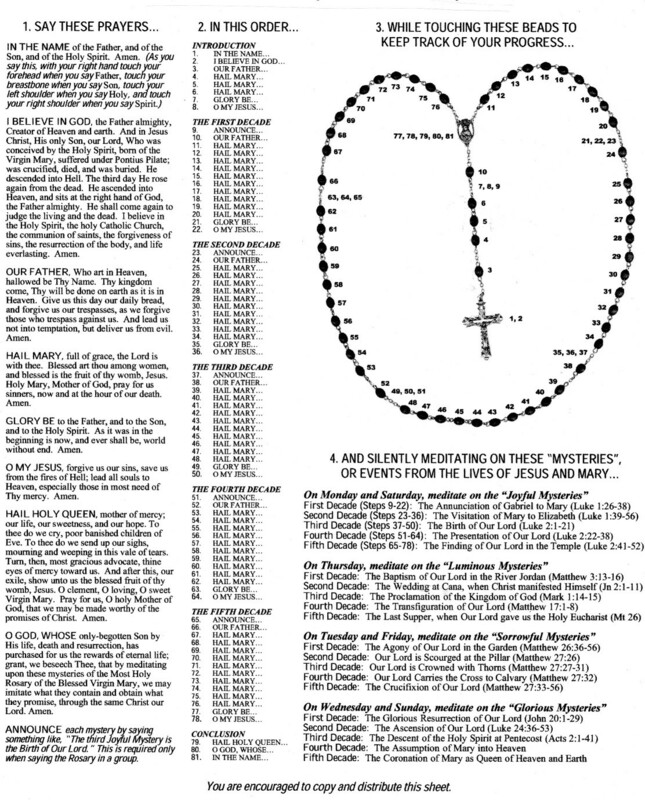 Note - The introductory and Meditation Notes in this Rosary are taken from 'The City of God', by Venerable Mary of Agreda (Spain), and from the Bible for the new Luminous Mysteries, as Pope John Paul II desired. The Rosary consists of a number of prayers, said in a specific order. It is divided into 4 sets of Mysteries, each containing 5 decades (a Lord's Prayer, followed by 10 Hail Marys. the Glory Be, and the Fatima Prayer). At the end of these prayers, the Final prayers are said. Pope John XXIII prayed the (then) full 15 decades every day, as busy as he was. Our present Pope, John Paul II, did likewise, and now I presume, since he added the 5 decades of the 'Luminous Mysteries' in October 2002, he would be praying the 20 decades per day. "In the name of the Father, and of the Son, and of the Holy Spirit. 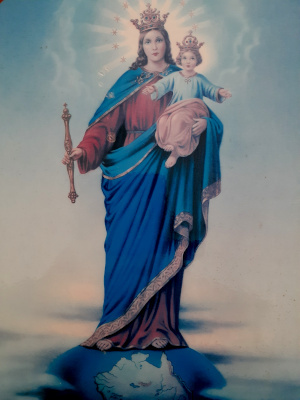 Amen"
Then the Prayer before the Rosary - (optional) "My Blessed Mother, you have told us that the proper way to pray the Rosary is to meditate on its various Mysteries. Please keep my mind free from distractions during this Rosary, and help me to better come to know you and your Divine Son, through my properly meditating on each of the Mysteries contained in the Rosary. By my concentration on these prayers, may I help to relieve the tears you have shed in many parts of the world." (Here you may mention your own private intentions- they may be of thanksgiving, or petition - Jesus says "ask and you shall receive etc." so it is quite a legitimate intention to be praying for something you need. the "Glory be to the Father."